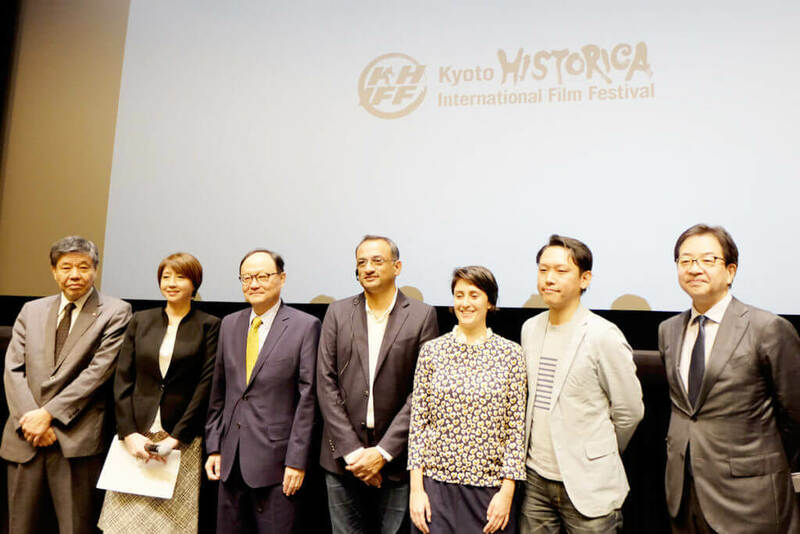 The opening ceremony of the 8th Kyoto HISTRICA International Film Festival was held at the Museum of Kyoto on November 3. The ceremony was proceeded under Ms. Keiko Iiboshi who is HISTRICA navigator. In the ceremony, 5 celebrities greeted. The celebrities are Mr.Tsutomu Abe, executive chairman of the Kyoto HISTRICA International Film Festival, Mr. Akimasa Yamashita, Vice-Governor of Kyoto Prefecture, Asia Film Awards Academy’s Roger Garcia , Shobu Yarragatta who prduce opening showing “BAAHUBALI: THE BEGINNING” and Geogia Falina who direct “I am abandoned Napoleon“. As an attempt of this year, past nominated works will show through cooperating with the Asia Film Awards Academy and it will be held “Camback salmon project” that will participate members of Kyoto Film Maker’s Lab. Yuki Saito who direct “THE OLD CAPITAL” showed after the opening ceremony and Georgia Farina who gived presentation as a guest and directed “I KILLED NAPOLÉON” were member of the inaugural class of Film Maker’s Lab. In addition to it, they became the first salmon of the project. After the ceremony, “THE OLD CAPITAL” directed by Yuki Saito was shown the first time in the world today. “THE OLD CAPITAL” is a work that was arranged Yasunari Kawabata’s novel that was a scene of Kyoto. The novel is in accordance with the present. The story is developed in the two historic cities of Kyoto and Paris, through being main charactor, daughters of Chieko and Naeko who are original novel’s charactor. After the show, director Yuki Saito talked. First, he talked his past career. 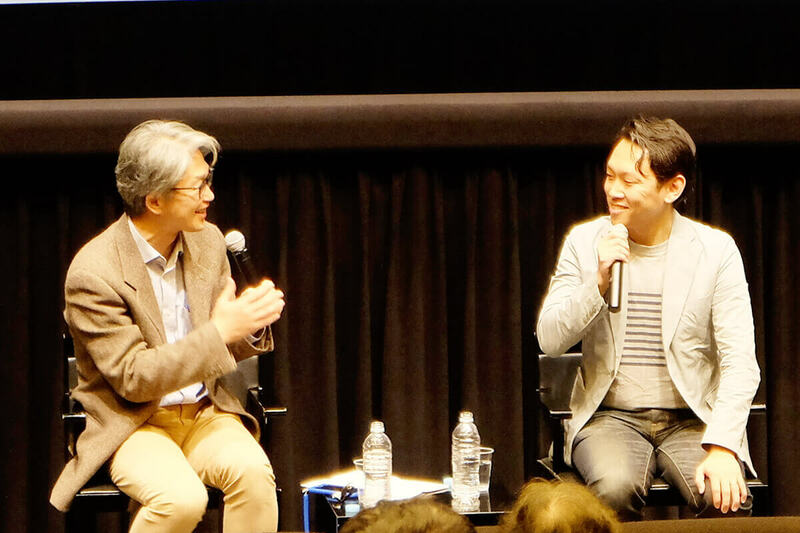 Next, he talked the opportunity to direct “THE OLD CAPITAL” and struggling at the time of making the screen play and the feeling for work (to make a script of 50 drafts before shooting, utilizing the fact of “Kyoto”, various ideas were taken to reflect Kyoto’s unique culture and human relationship). In the future, various works will be shown at the Kyoto HISTRICA International Film Festival. Please join us!